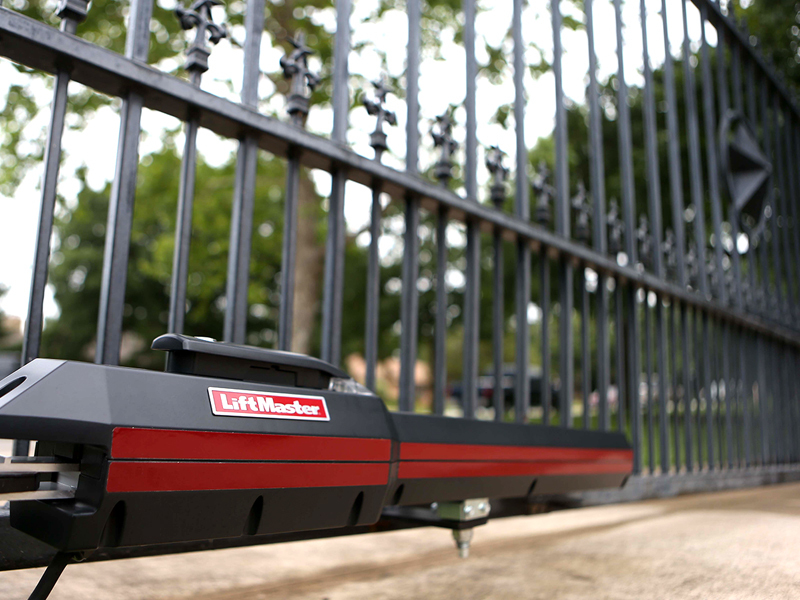 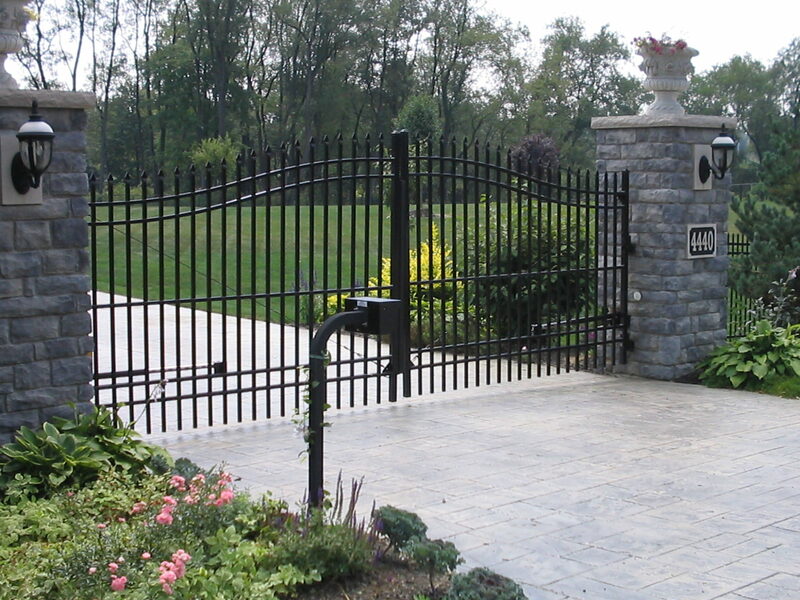 Driveway gates are a strong statement piece that keeps your home safe and secure. 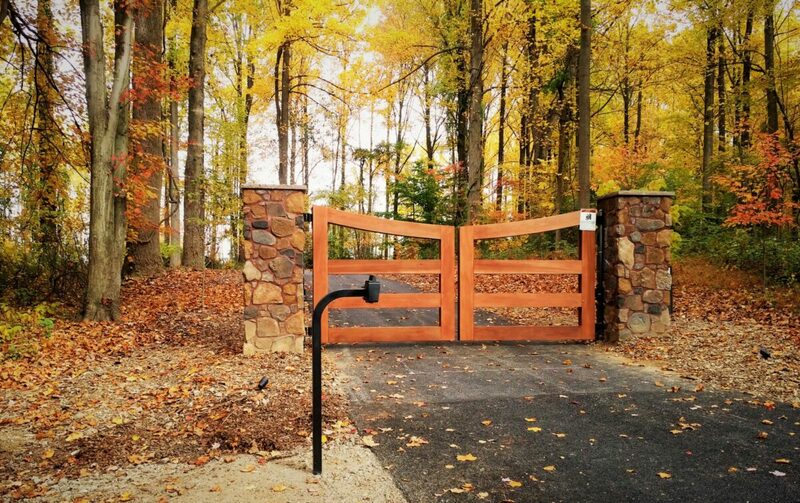 There are seemingly endless possibilities of gate designs. 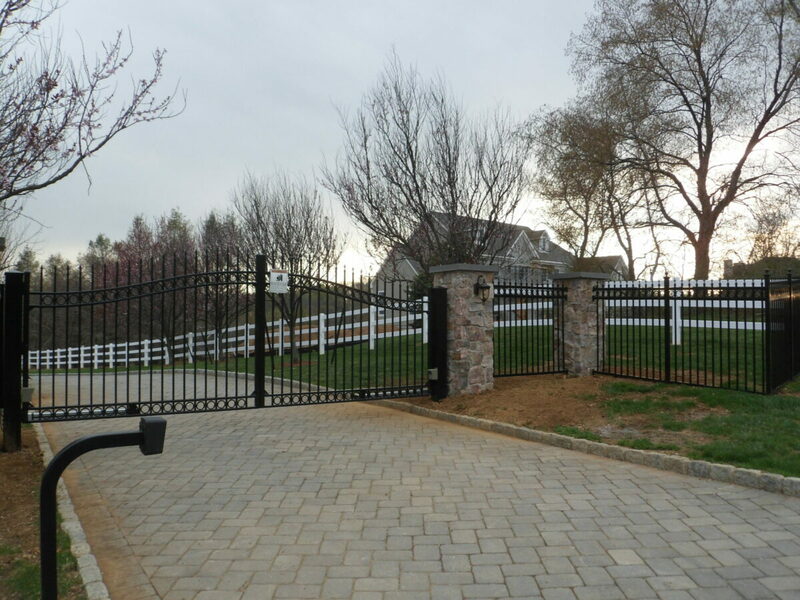 Mechanisms of entry range from manual swing gates to automated entry systems with security features that can be controlled remotely. 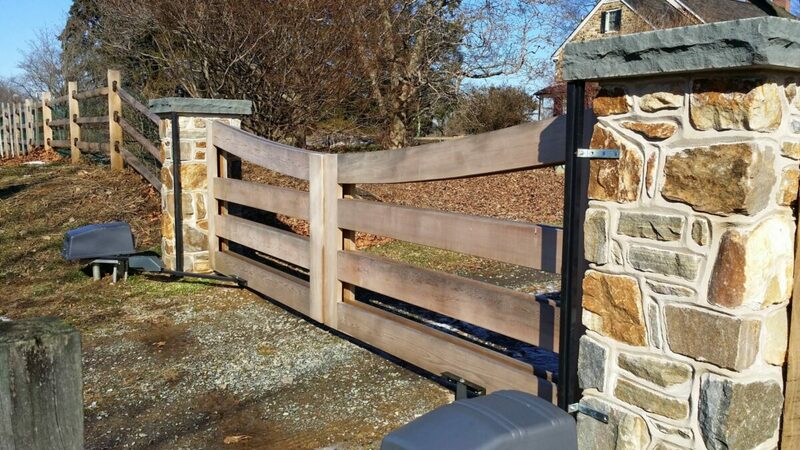 Custom-designed wood or metal gates can be paired with stone or brick pillars to offer both curb appeal and peace of mind. 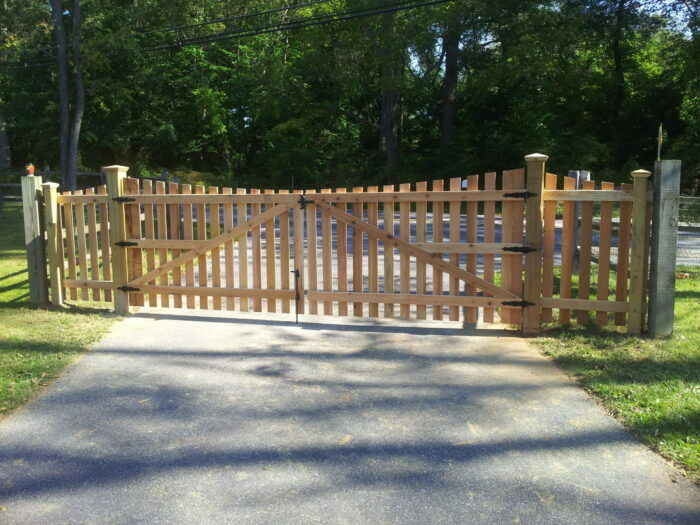 These standard designs are built to match our decorative metal fences and can be custom built to the desired width and height to fit your unique driveway. Handmade in our very own woodshop by our skilled craftsmen, these truly unique gates can be designed to closely match our wood fence designs, or can be a standalone piece of art that you and/or our craftsmen design. 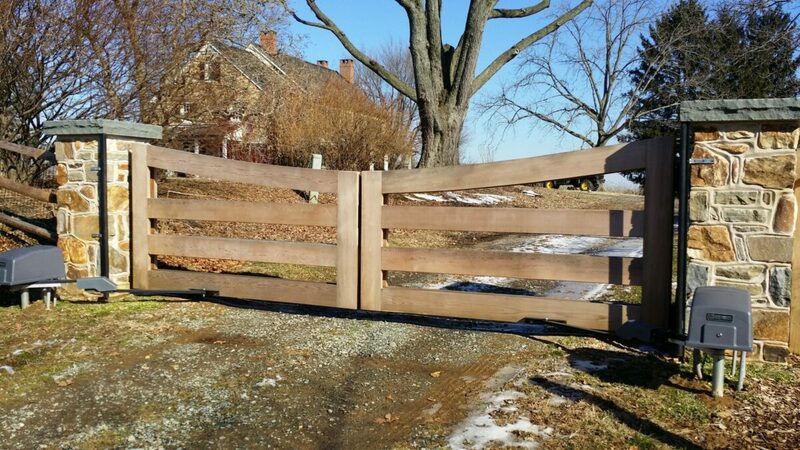 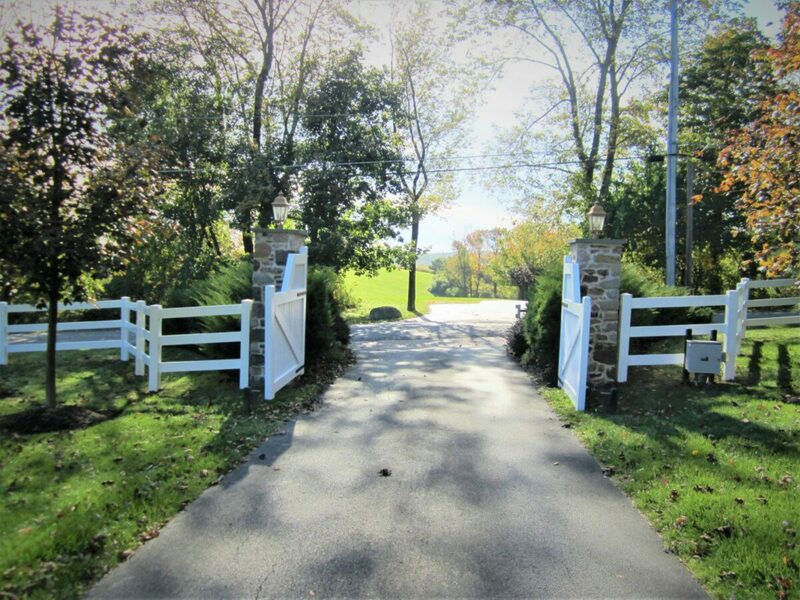 Designed to bring the country estate feel to your property as a seamless continuation of our rail fence style, these gates remain a popular, classic option. 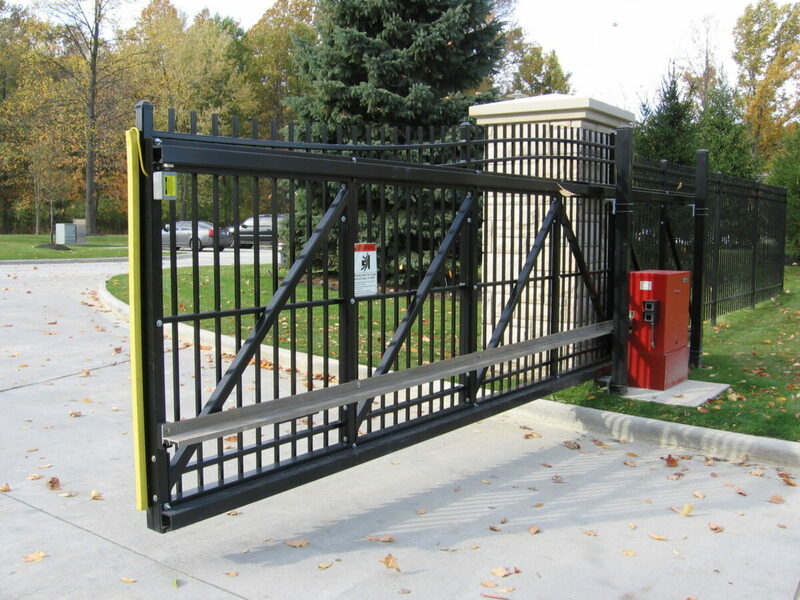 Typically used for commercial and industrial applications, metal cantilever sliding gates or metal double-swing gates provide the utmost security. 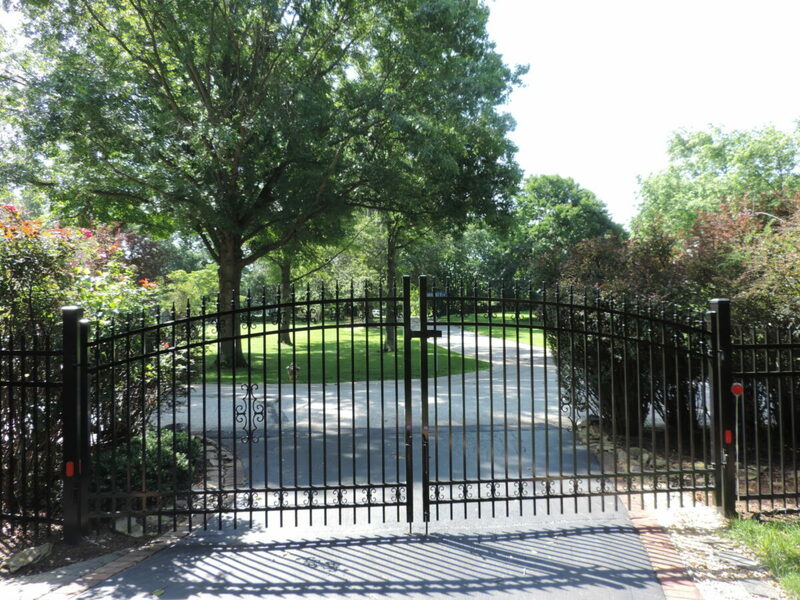 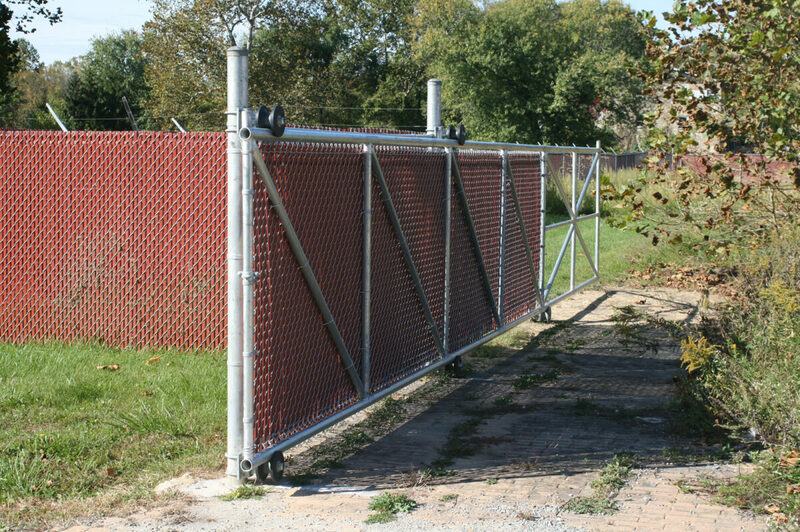 These gates are often built to match our chain-link or decorative steel security fences.